Five-year-olds are often spunky, full of energy, and love to learn. 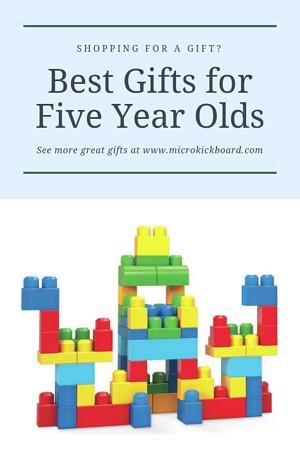 In this gift guide, you'll find all of the best gifts for a 5 year old that they'll be sure to love. 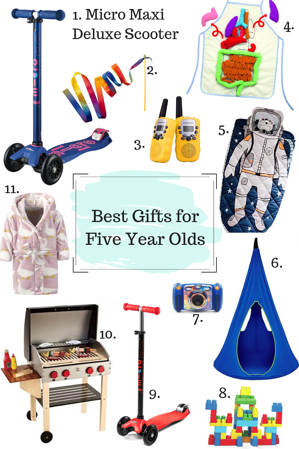 From scooters to pretend grills, walkie talkies, and more, there's something for everyone on our list! 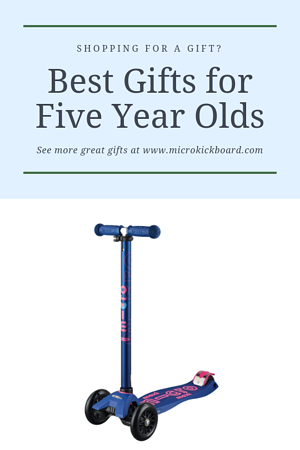 The best gift for your five year old is without a doubt the Micro Maxi Deluxe! 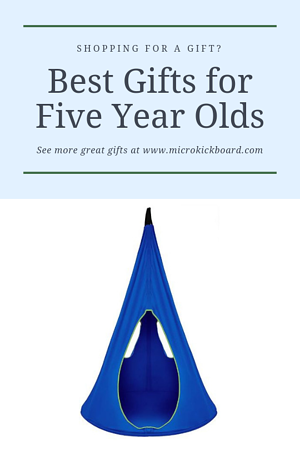 It grows with ages 5-12, making it a perfect fit for years to come. With super fun color options (and 4 new ones just released!) Our Maxi Deluxe scooter will be the hit of the holiday party! At five years old, movement is fascinating! This ribbon wand is perfect for active kids who want to add a little fun into the ordinary. Over, CHH! 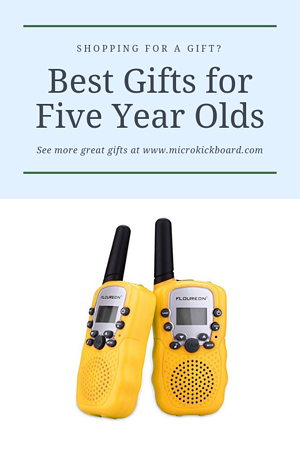 We’re fans of classic toys, and walkie talkies are one of those items that are fun no matter your age. 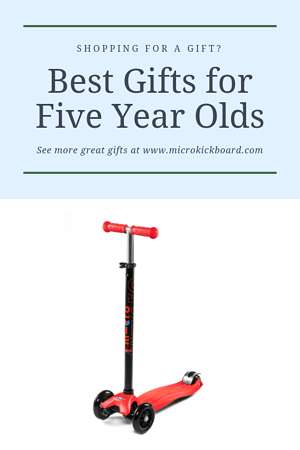 Five is the perfect age to really get how these work, and to enjoy them to their fullest! Working through science, puzzles, and fashion all in one? This human anatomy apron has it all. 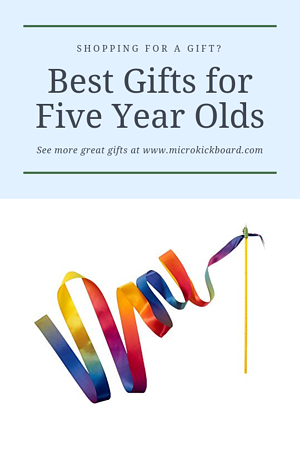 Give your five year old a gift that will help them learn! 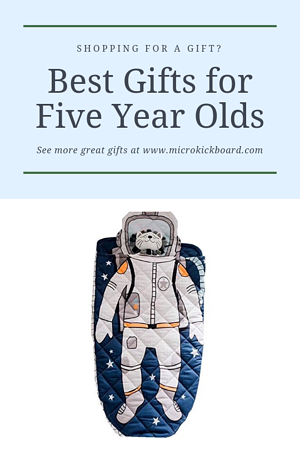 Whether sleeping in their own room or staying the night somewhere else, let your five year old’s imagination run wild in their cozy astronaut sleeping bag! We’ve found the perfect little perch for your kiddo! Take a break from scooting and relax in this swinging chair for kids. 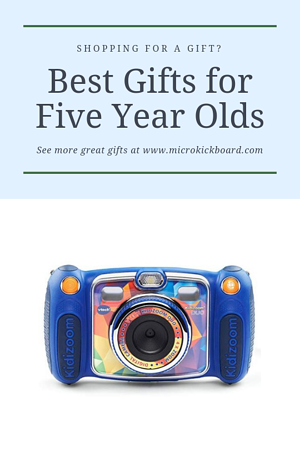 See the world through your child’s eyes with this sturdy kids camera! Available in multiple colors, you’ll be sure to find the perfect one. Build then destroy. Build then destroy. Kids could go back and forth playing with these blocks forever. These Mega Bloks are easy for kids to grab and maneuver, making them perfect for a 5 year old. Our original top-rated scooter, the Maxi Original operates just like our Maxi Deluxe! If you’re not looking for our updated design, or upgrades such as our anodized T bar and stem, and silicone injected anti-slip deck. If you’re looking for a scooter you can trust without all of the latest bells and whistles, the Maxi Original is tried and true! Your child is 5, it’s time to play pretend! 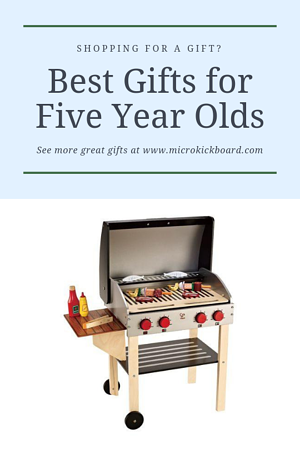 This wooden play grill with food is a great alternative or addition to the classic play kitchen. 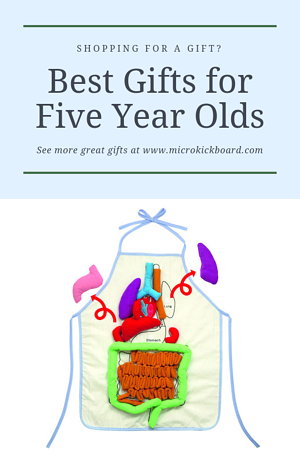 Encourage your little one’s creative cooking passions with this super cute set! 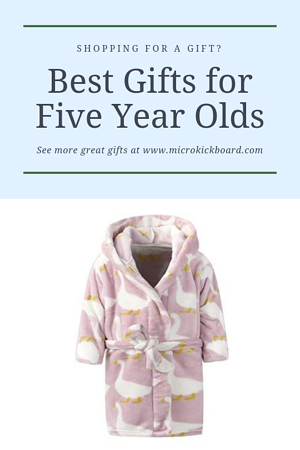 Make bath time special with your kiddo’s very own bath robe. Available in multiple colors, styles, and sizes, this plush robe if perfect for any kid! Whatever the occasion, we hope you found what you were looking for on our list! Need more scooter advice? Click here to check out our Online Concierge!